Arbuckle Area Society for Human Resource Management presents a FREE Question and Answer seminar with Human Resource Professionals. 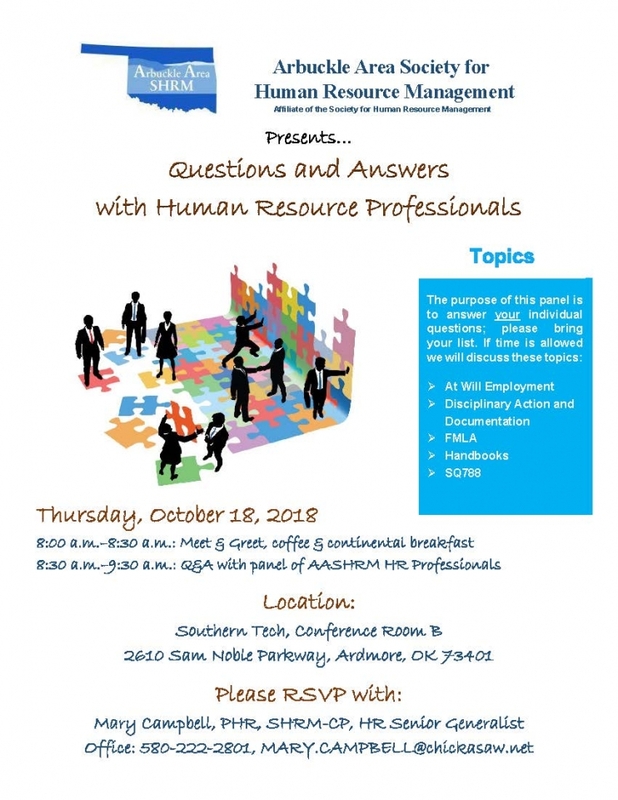 If you had an HR Manager, what would you ask them? The purpose of this panel is to answer your individual questions. If time allows, we will also discuss: At Will Employment, Disciplinary Action & Documentation, FMLA, Handbooks, SQ788, etc. Please RSVP to: [email protected]. Continental breakfast included.